Coincidentally enough, I happened to be in Rishikesh on June 21, which is International Day of Yoga. 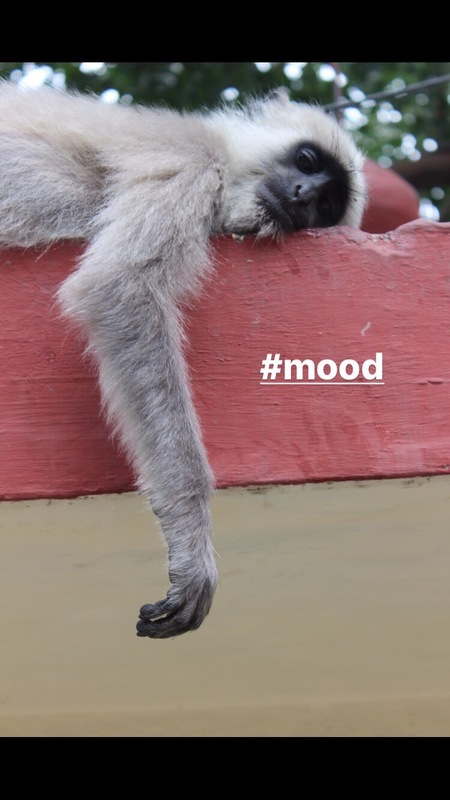 But I didn’t do a single yoga class while in Rishikesh (I know, I know – what was I thinking???). 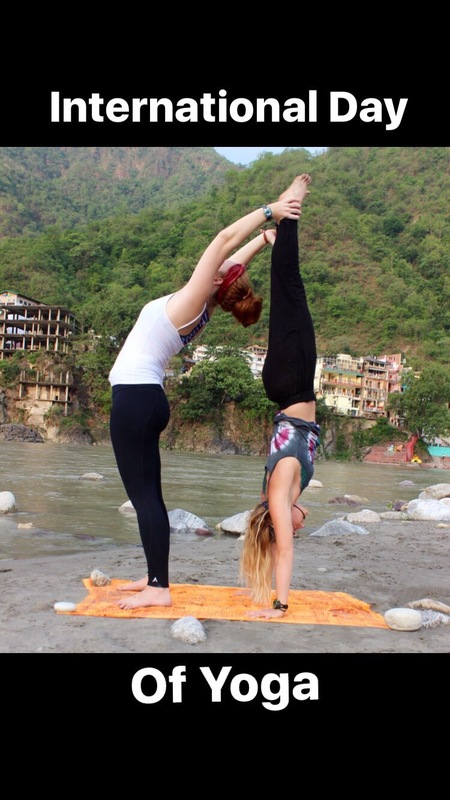 Instead, my backpacking buddy Daysi and I decided to do our own yoga along the Ganges River. Just before sunset this place is magical – it’s no wonder the Indians believe it’s holy! You may have to hop over rocks to find a sandy spot to rest, but you’ll get some stellar views of daily life in this town. 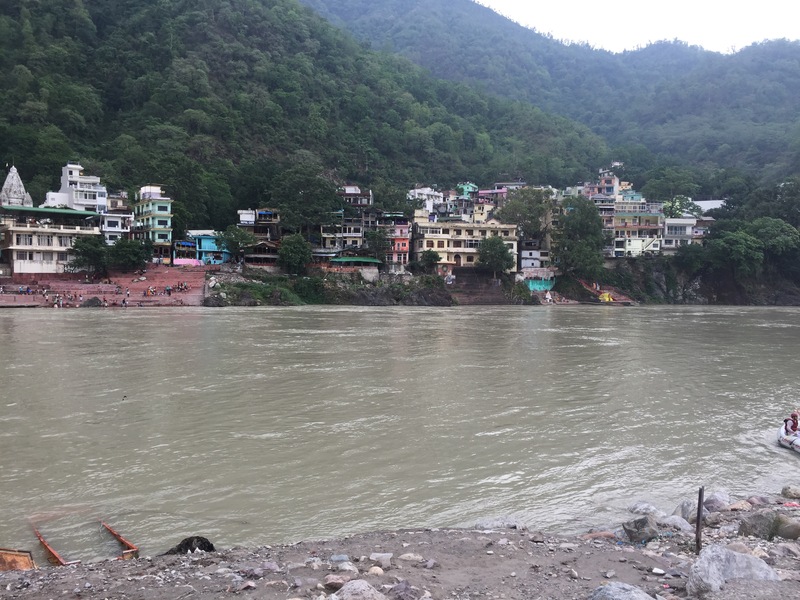 Locals wash clothes along the river, tourists gleefully raft over the rapids, and others go to pay their respects at multiple temples. You may even be greeted by some cows – or monkeys! But watch out for the monkeys – some are nice, and some are insane. Side note: I was sleeping on the roof at my hostel, when I awoke to the sound of my hostel mates. I finally decided to see what was happening, and noticed a huge monkey eating their food. They tried scaring it away, but it lunged a few times, and one of the girls actually got scratched on the back. Another girl said a monkey jumped on her while she was crossing the nearby Monkey Bridge. Proceed with caution. 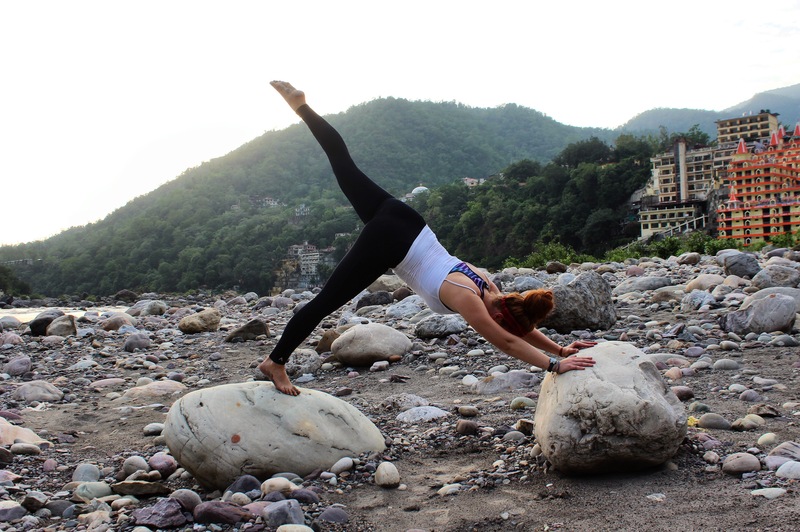 However, for all the yoga lovers out there, Rishikesh has plenty of classes offered daily (some for around 200 rupees). If you aren’t a fan of Indian food, or if you need to take a break from Indian food because of stomach sickness, no need to worry. 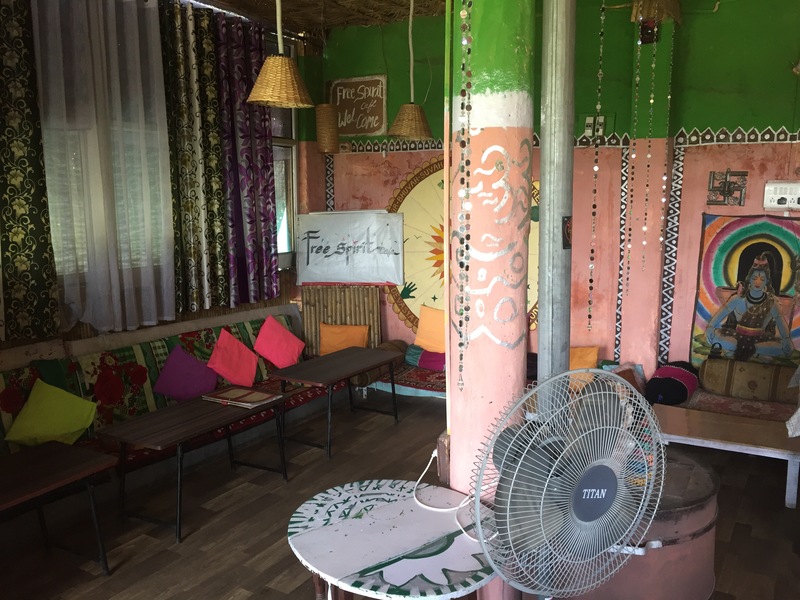 Rishikesh has plenty of restaurants with international food options. There’s a lot of Israeli food here too. 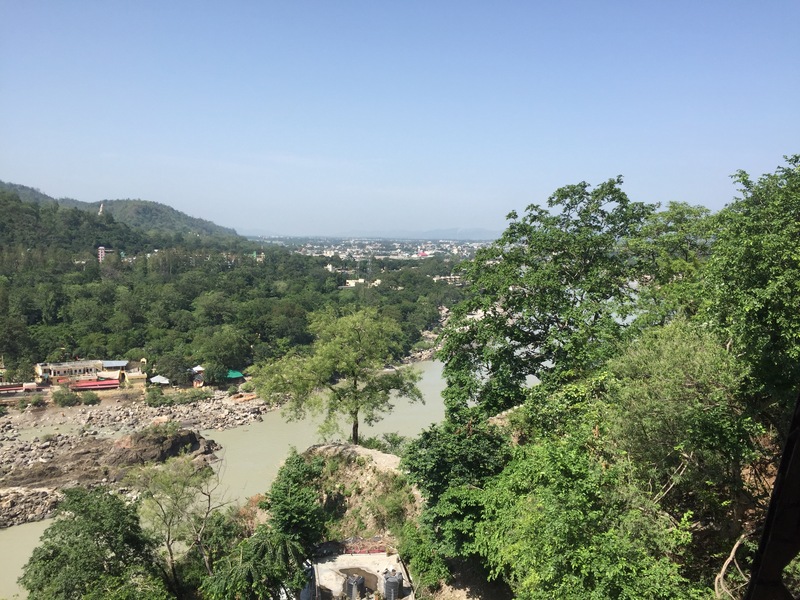 And when in a place as scenic as Rishikesh, you might as well get a view with your food! 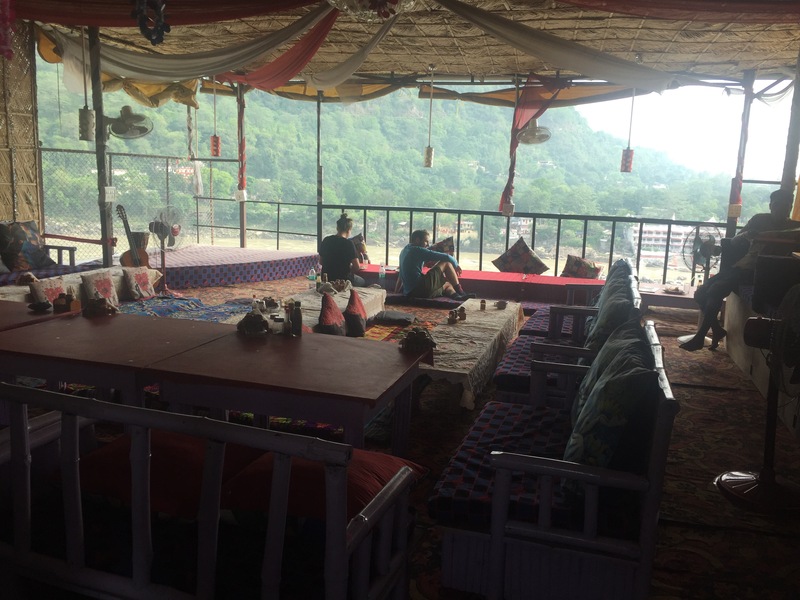 We found two cafes that offered some amazing views of the Ganges River and the surrounding mountains. Lotus Café and Free Spirit Café both had tasty food, and wifi. 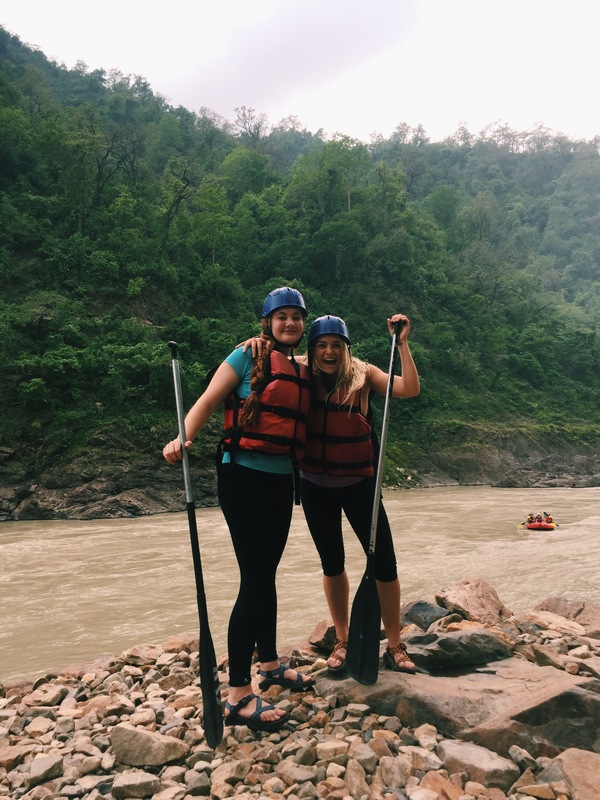 Raft down the Ganges for around $6-10 (depending on the company and the amount of people). Rides can be 9km or even 18km, depending upon the time of year and the safety of the rapids. We did the 9km and even though the rapids were not that intense, it was still an experience to see the town from another point of view. Plus, there’s a “stopping point” along the way for refreshments and/or cliff jumping! Another thrill is that one of your two guides may be a 12-year-old – but a really awesome 12-year-old! Monkey bridge: Cross this beautiful bridge to see another side of town. As mentioned before, watch out for monkeys! 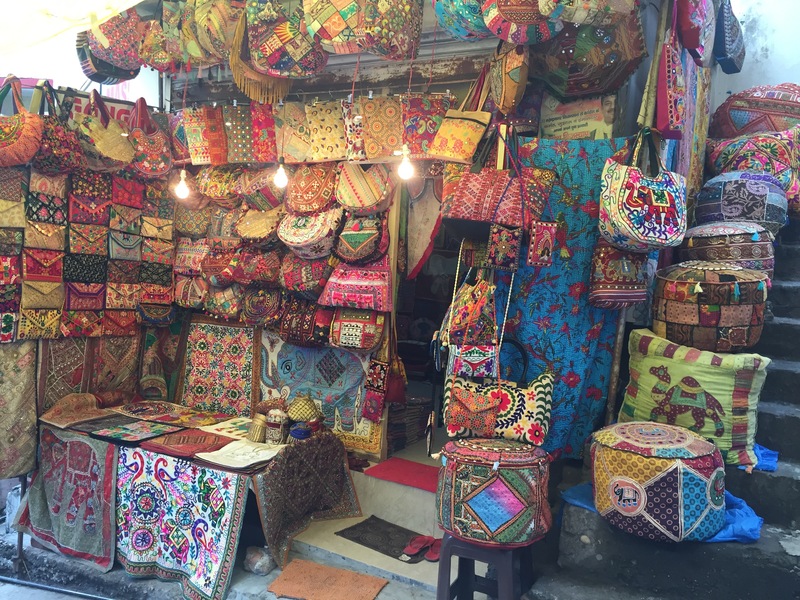 A lot of Rishikesh can be enjoyed while sipping masala tea along the Ganges River. 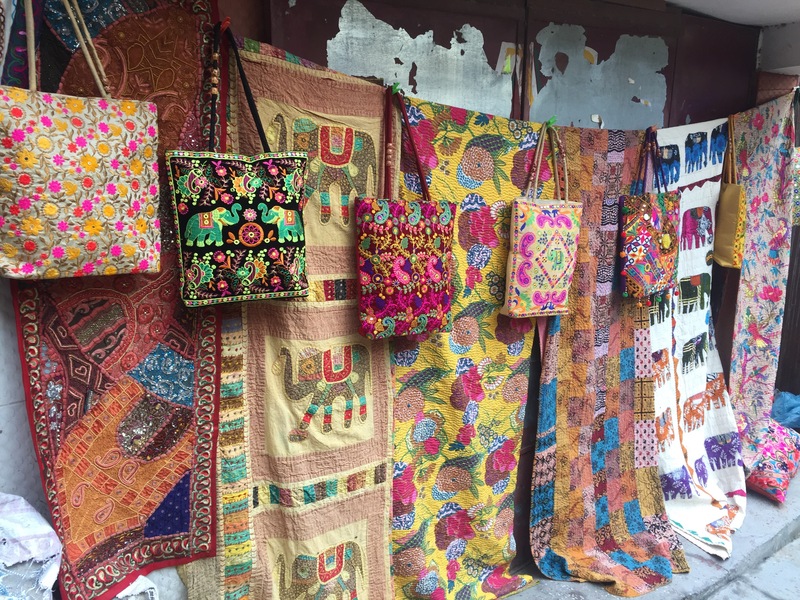 The town is a peaceful respite from other more populated areas, such as crowded Delhi. 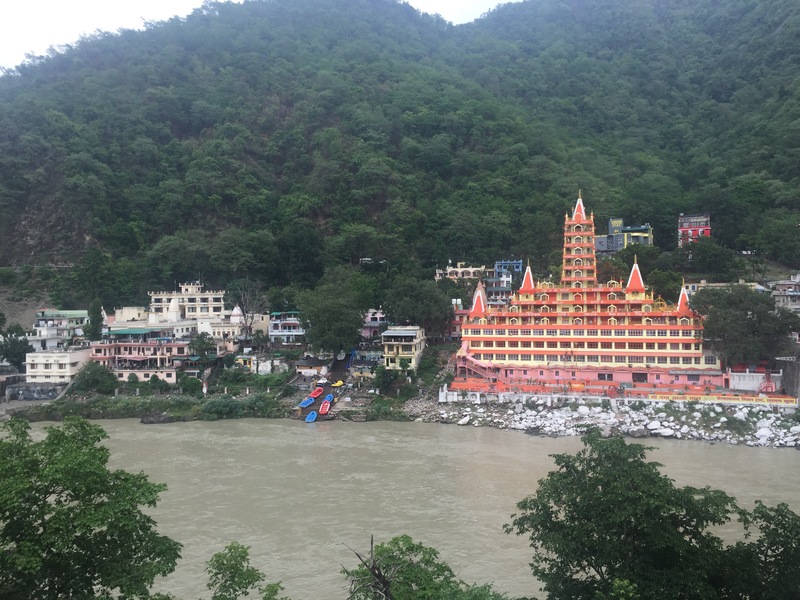 Planning to go to Rishikesh? 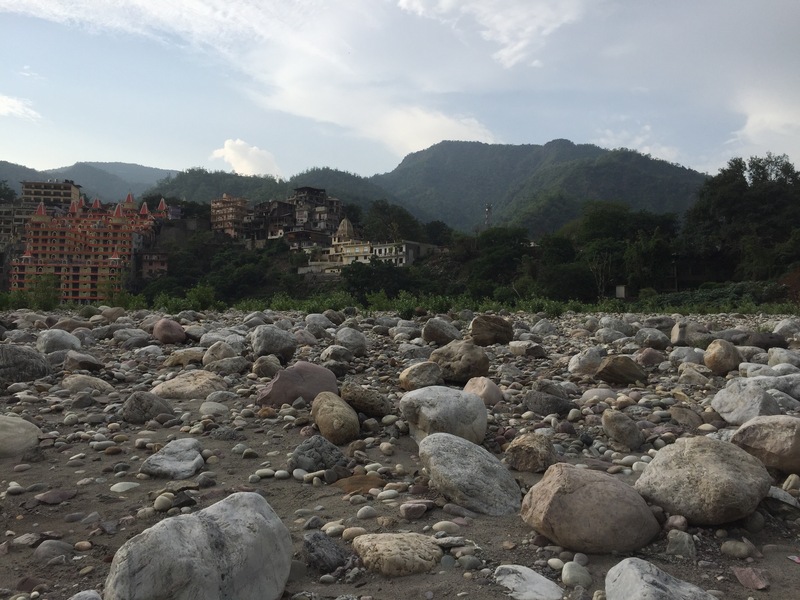 Or have you been to Rishikesh before? Let me know in the comments below! 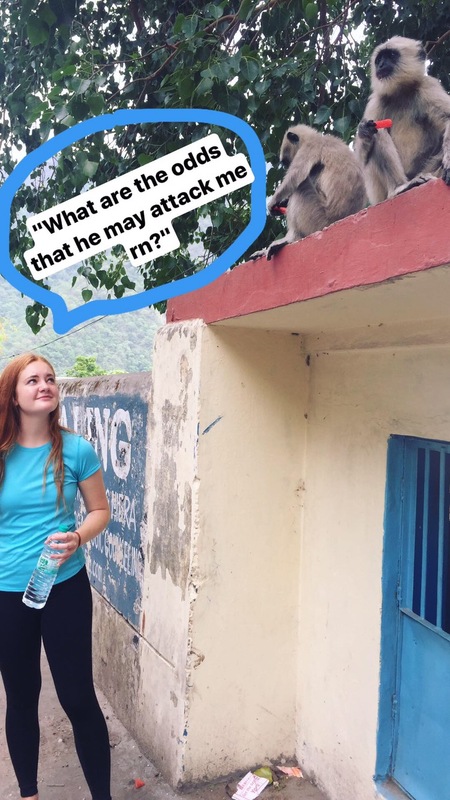 The monkeys in India are hilarious! So entertaining to just watch them live haha.